The build flows nicely and begins to look quite bikey fairly early on. As it progresses though that huge pile of black pins seems to hardly diminish at all, leading you to wonder what the hell they’re all for. The final few steps as it turns out, as almost all of them seem to end up in the R 1200 GS Adventure’s panniers, which are some the most robustly engineered Technic items we think LEGO have ever designed. Come the nuclear apocalypse they’ll just be cockroaches, Toyota Land Cruisers, and the panniers from 42063 sets remaining. The finished bike, complete with the world’s toughest panniers, is a marvellous thing. Looking mostly accurate (but not perfect), 42063 is a set where the stickers really bring it to life, completing the aesthetic and making the model appear genuinely authentic. There’s working steering, rear swing-arm and front double-wishbone (it’s weird writing that for a bike) suspension, and a flat-twin engine that spins freely as the rear wheel turns. All of that lot works pretty well, although the suspension only uses about two-thirds of the possible travel in the shock absorbers before hitting the bump stops, and is – as is often the case with LEGO sets – much too soft. Overall 42063 BMW R 1200 GS Adventure is a set worth having. 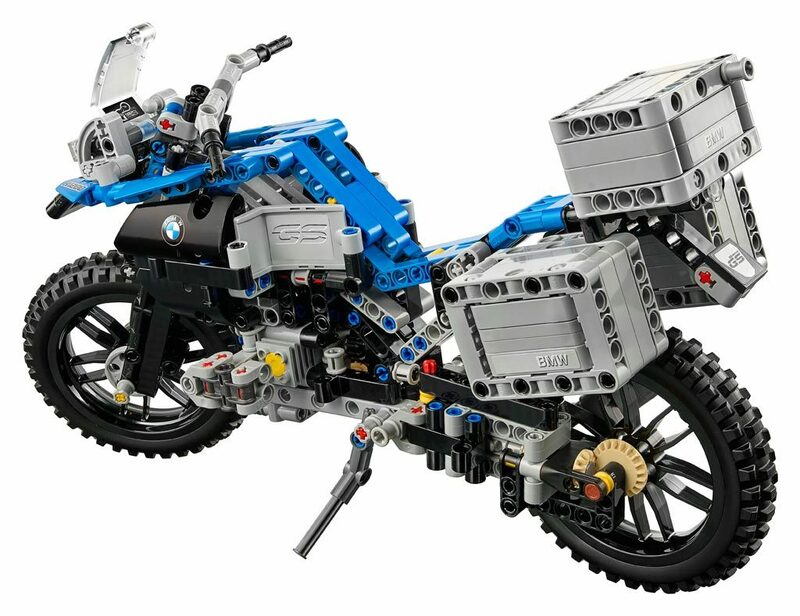 It’s not completely accurate to the real bike aesthetically, but it’s close enough and the Model Team-style detailing and plentiful decals make it one of coolest-looking motorcycles to come from LEGO in ages. It also performs well, with each of the working functions operating as they should (even if the suspension is too soft), and it’s decent fun to build. 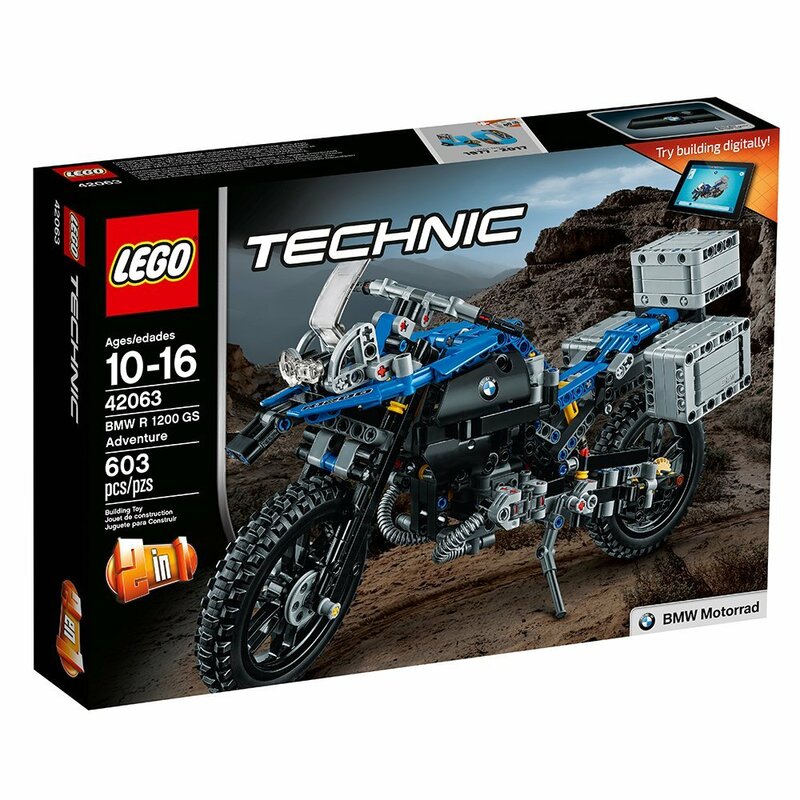 Whilst 42063 doesn’t really move Technic motorbikes forward in functional terms (although it is the first officially-licensed replica, and is all the better for it), it just does everything very well. 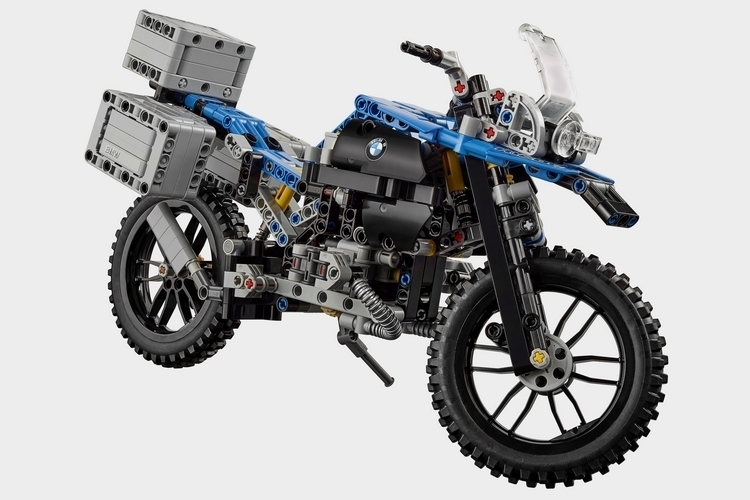 A really good effort from LEGO and BMW, 8/10.